Are you finding the best phone under 20000 Rs? You want to buy a phone, but you have so many confusion. If so, then this post will help you a lot for making the better decision. Quite a while ago, I wanted to buy a smartphone under Rs. 20000. So, I started to search the internet for lists of best smartphones with information in the price range. But to my surprise, I did not find a useful one. Either the articles lacked information, or they lacked authenticity. But I wanted a balanced article, where there will be not only the benefits but the downsides of the phones as well. That is when I decided to write this article. So, today I present to you the best smartphones under Rs. 20000. I have discussed not only the positives but the negatives about them as well. Due to this, you would not go through the same trouble I did. I have chosen seven smartphones for the article in the price segment. All of them are rigorously tested, so you can be assured that the reviews are authentic. 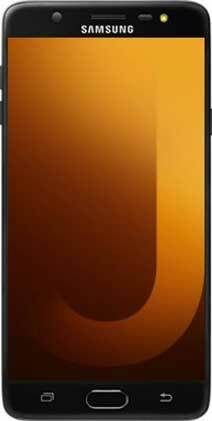 Samsung launched their Samsung Galaxy J7 Pro in June 2017. It is an upper mid-range smartphone. Samsung has made the display of this smartphone one of the best features of it. It has a Super AMOLED 5.5 inch display. The display quality is amazing. Also, it has an ambient display. An ambient display is a display that provides only the concise and needed information to the user. You can always see the time on it. All in all, you will be pretty happy with the display of this phone. The Galaxy J7 Pro runs on Samsung’s own processor, the Exynos 7870 Octa-core. It is the same processor they used in Samsung J7. It is quite surprising to see Samsung using a year old processor. They could have easily opted for a newer version or a totally different new processor such as the Snapdragon 650. Also, it has a Mali-T830 MP1 GPU. Which is again, an average GPU unit. The device lags quite a bit on heavy gaming. In conclusion, although the processor is good, it is definitely not one the best. The camera in the phone is moderately good. It has 13 MP cameras on both the rear and front. The rear-facing camera can take some good quality snaps even in low light. You can thank the f/1.7 aperture for that. The front camera too can take quality shots and even capture good videos. On the downside, there is no optical image stabilization. So, if you move while taking a video it will appear shaky. Even still shots can become blurry due to no stabilization in low light conditions. Of course, you can not compare it with the higher end Samsung smartphone cameras. However, it is quite good considering the price range. Android Nougat is the operating system on the smartphone. The operating system is one of the best to have. It will make your user experience even better. The operating system is a plus in this device. The build quality is very good in the Galaxy J7 Pro. It has a metallic back. It feels and looks premium on hand even with the lower price tag. The design and build quality are similar to the Samsung Galaxy S6. Therefore, I did not find any issues with the build quality. Now, most Samsung mid-range smartphones fall short in the battery life. However, that is not the case with this phone. It has a surprisingly good battery life. Even with heavy usage, it will last you a full day. Also, if you are a casual user, it will easily last you up to two days. The Samsung Galaxy J7 Pro is a nice smartphone in the price segment. It has a good build quality, excellent battery life, and a nice camera. If you are a person searching for all-round performance and the brand name of Samsung, go for it. The Moto G5s Plus is a decent choice in the price segment. 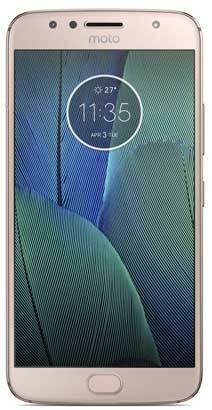 It is the successor to the Moto G5 Plus. The company is marketing it as a camera-centric smartphone. The device has a 5.5 inches display. It is a Full HD or 1080p resolution display. Although it is not an AMOLED display, the color reproduction and detailing is quite nice. Besides, it also has an auto-brightness sensor. Besides, it also has an auto-brightness sensor. 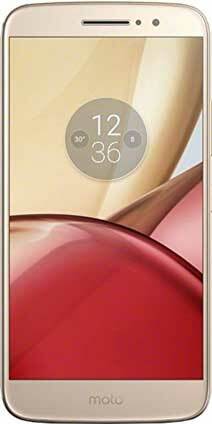 In the earlier Moto G series phones, such as Moto G5 Plus, the sensor was faulty. However, on this phone, the sensor performs really well. You do not need to manually adjust the brightness when you are using it in broad daylight. The Moto G5s Plus has a Snapdragon 625 Octa-core processor. It has improved in this feature from its predecessor, the Moto G5 Plus. In the Moto G5 Plus, there was a Snapdragon 430 processor. Coming back to the Moto G5s Plus, the phone multitasks really well. Also, it does not heat up even on gaming and heavy usage. You can thank the Adreno 506 GPU for that. As mentioned earlier, the company is marketing the smartphone as a camera-centric one. It has a 12 MP rear-facing camera and a 5 MP front-facing camera. The rear-facing camera has a monochrome sensor. The sensor helps to click good pictures even in low light conditions. The smartphone also has a Depth Mode. In it, you can modify or completely change the background even after you take the picture. As a result, you have better control on the outcome. There are two video recording modes available, 1080p and 4K. On the downside, there is a shutter delay of about half a second. This is a big disadvantage, especially when Motorola is claiming it to be a camera-centric phone. The front-facing camera performance is below average as well. Also, in video recording, it is only good up to 1080p. There is no optical image stabilization for 4K video recording. So, the video will be shaky if you walk or move at all. Android Nougat is the operating system on this smartphone. Although it is quite good, there is a problem with updates. Motorola has stopped giving Android security updates on their smartphones. Therefore, it is a disadvantage for the users. Now, regarding the build quality, Motorola has upgraded a lot. The device is made up of a metal back. It is superior to the earlier smartphones under the Moto G series. Furthermore, it has a slightly curved edge. 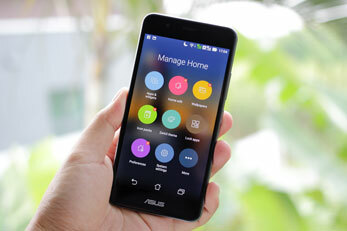 That makes it slimmer than smartphones with a similar screen size, such as Remi A1. So, overall, the build quality is a big plus. Now, let’s take a look at the battery. The Moto G5s Plus consists a 3000 mAh battery. It is quite an average battery as per its performance. The phone lasts about a day with moderate usage. Although it supports quick charging, the device heats up when on the quick charge mode. So, if you are looking for good battery life, you will find many better options in the price range such as Lenovo P2. The Moto G5s Plus is a decent choice if this is your first buy. It has improved a bit from its predecessors. However, if you already own a Moto G5 Plus, I would suggest not to buy this phone as there are not too many upgrades. Huwaei also entered the game in the price segment for smartphones. They have launched their Honor 8 smartphone in July 2016. They have said that this is a camera-centric phone, meaning the camera is the best point in it. For the display, Honor 8 has a 5.2 inch Full HD display. It is 1080p resolution screen. The display quality is pretty nice. The pictures and videos look good on the screen as well. On the downside, the brightness is not up to the mark when you are in direct sunlight. It becomes quite difficult to see the screen. Honor 8 comes with their Kirin 950 octa-core processor. Although it is not Snapdragon, the processor is quite good. It handles even heavy gaming without any lag. In addition, there is no heating problem either. Overall, I have no complaints on the processor. The camera quality and performance on this phone is incredible. In fact, in some areas, it is even better than the iPhone 7. It has dual 12 MP cameras on the rear. On the front, it has an 8 MP camera. Both the cameras click amazing pictures on sunlight. Also, even in low light and artificial lights, the camera performance is very good. Surely it is among the best. The front-facing camera can record videos up to 1080p. On the other hand, I was surprised to see a phone with this much amazing camera does not have optical image stabilization. As a result, the videos appear shaky in them. In addition, the focusing is also quite slow in normal or manual mode. However, in autofocus mode, the focusing problem is not present. The Honor 8 has Android Marshmellow as its operating system. The operating system is quite good. However, I did not understand why Honor has opted for the Android Marshmellow. Because many phones in the same price segment have Android Nougat, which is a newer version of Android. The smartphone has a glass back. As a result, it is extremely slippery. Also, it is very much prone to scratches. Therefore, you will have to be very careful in using the device. It can fall and break any moment if you are not paying attention. I would suggest getting a back cover for the smartphone. It has a 3000 mAh battery. I have to say that the battery is very average. It will only last you up to eight hours in heavy usage and ten hours in casual usage. You can find smartphones with way better battery life in the same price segment such as Lenovo P2 or Moto G5 Plus. Choose the Honor 8 if your sole priority is the camera on your smartphone. However, there are many smartphones that are better in overall performance in the same price range. So if that is what you are looking for, stay away from this one. The Xiaomi Mi Max 2 is the updated version of the Xiaomi Mi Max smartphone. They launched this phone in may 2017. It has a huge display size best suited for watching movies and playing games. As mentioned earlier, the display is of a huge size. It is a 6.44 inch Full HD IPS screen. The picture quality and details are very good. If you want to watch movies or play games on your smartphone, this phone is for you. Except for the screen size, the front is similar to the Mi Max. On the downside, the viewing angles in his phone are poor. Also, the auto brightness sensor does not work all that well either. The Xiaomi Mi Max 2 runs on a Snapdragon 625 Octa-core processor with 2.0 GHz clock speed. The processor is one of the best in the market. It handles multitasking pretty easily. In addition, there is no lag on heavy gaming as well. The Adreno 506 GPU is responsible for that. No overheating problem adds to its benefits. The smartphone has a 12 MP rear-facing camera and a 5 MP rear-facing camera. The rear-facing camera has the Sony IMX 386 sensor in it. This is the same sensor Xiaomi used in their Mi6. Both the cameras are better than its predecessor Mi Max. There is no camera hump either on the Mi Max 2. In addition, the camera performance is also better than the Redmi Note 3 and Redmi Note 4. However, the low light performance of the camera is pretty poor. The pictures come out soft and noisy. It runs on Android Nougat which is the latest Android operating system. It makes your experience using the phone a lot better. The UI is the Xiaomi’s own Mi UI version 8. It is easy to use and delivers good performance. The phone has a metallic finish in the back. The design is elegant and contemporary. It also has curved edges. Due to this design, the phone feels comfortable to hold in the hand despite the big screen. THe back buttons are backlit, making the usage easier. Xiaomi has made the bezels thinner than the Mi Max as well. The Mi Max 2 has a massive battery of 5300 mAh. It would easily last you for two days. If you are a casual user, it can last you up to two and a half days as well. So, you would not hear me complaining about the battery life of this phone. The Xiaomi Mi Max 2 are for those people who love to watch movies and play games for long hours. It’s huge screen and massive battery gives you that power. Samsung launched their Galaxy J7 Max in June 2017. This is another addition to their upper mid-range smartphones. It has a 5.7 inch Full HD display. The display quality is pretty good. Viewing angles, picture quality, sharpness, everything is decent on the display. However, the auto brightness sensor is faulty. You would have to manually fix the sensor quite often. The Galaxy J7 Max runs on the MediaTek MT6757 Helio P20 processor. I do not understand what Samsung was thinking with this. They have their own Exynos processor. Also, they can always opt for Snapdragon processors which give far superior performance than the MediaTek Processors. But Samsung’s love for the MediaTek processors has cost them. The phone lags quite a bit, especially with heavy gaming. The Mali-T880MP2 is an average GPU unit as well. For the camera, Samsung has gone with two 13 MP cameras on both the rear and the front. However, despite the effort, the camera quality is just average. The low light and artificial light photography are just not up to the mark. Pictures tend to appear blurry and soft. Although it can take some good pictures in proper lighting conditions. The operating system is Android Nougat on this phone. It is a latest operating system and makes your user experience relatively better. The build quality in this phone is quite good. It has a metallic finish in the back. The phone looks pretty good and is sturdy as well. The Galaxy J7 Max has a 3300 mAh battery. And I have to say, the battery performance is really poor. It lasts only about five hours for heavy usage. Even if you are a basic user, it does not last more than seven hours. So, the battery life is a huge minus in this phone. If you want a phone just for basic usage, you can buy this phone. I would suggest looking for other options if that is not the case. The Motorola Moto M is very different than other Motorola smartphones. It comes in two variants, with 3 GB RAM, and with 4 GB RAM. We will talk about the 4 GB variant here. It was launched in November 2016. The device has a 5.5 inch Full HD IPS display. It is a 1080p screen. The display quality is quite good. Picture quality, sharpness, and details are really nice. There is also an auto-brightness sensor. It helps in seeing the screen in different lighting conditions by adjusting the brightness accordingly. So, you will have no complaints with the display. Motorola has opted for MediaTek Helio P15 Octa-core processor. Now, this is a strange decision. MediaTek processors are below average in performance. Most smartphones in the same price range offer Snapdragon processors that are far superior. The device lags quite a bit on heavy gaming due to the poor processor. The Moto M has a 16 MP rear-facing camera and an 8 MP front-facing camera. The rar-facing camera takes nice pictures in outdoor lighting. However, it is just mediocre in artificial and indoor lighting conditions. It does not have a laser autofocus feature like the Moto G4 Plus. The camera is quite similar to Redmi Note 3. The Moto G4 Plus has a way better camera than the Moto M.
On the other hand, the front-facing camera is quite good. In fact, it is better than Moto G4 Plus. It runs on the Android Marshmellow operating system. This is a good operating system and makes the user experience better. However, many smartphones with the same price have Android Nougat as their operating system. It is a newer version of Android. Some can consider it a disadvantage. The build quality is the best part of this phone. It has a metal back. The phone looks and feels premium in the hand. When it comes to sheer style, this phone is the best among the samrtphones in the list. It is sturdy and durable as well. The Moto M has a 3050 mAh battery. Although it looks average on paper, it delivers a good performance. It lasts about a day for basic users. If you are a heavy user, it will last you a little less than a day. The battery life is similar to Moto G4 Plus. However, Redmi Note 3 has a better battery life. Go for this Moto M only if you think looks as your first priority. Otherwise, just do not buy it. Now, to make your decision easier here is one final choice. I have chosen the Samsung Galaxy J7 Pro for this. It delivers an allround performance. 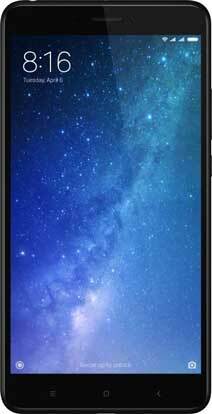 With its super AMOLED display, impressive build quality, and pretty good camera, it is a real value for money product. These are the best smartphones under Rs. 20000. Now that you have read the article, you have the necessary information. Analyze them and choose as per your needs which smartphone is the best for you. Very nice and Informative post about the smartphones, Keep it up Bro!